Brace face, ugly, nerd, a nobody, disgusting, know-it-all, are just a few nicknames I get called at school. My life isn't easy I never said it was. Life will throw you a curve ball, it will throw you on the ground over and over again. Even though you want to let go you have to hang on. Cause things get better, it always will. At least that's what my mom always told me. Lea Smith is known throughout Lee County High as the schools nerd who always wears beanies. She has few friends and the schools most popular people, the cheerleaders and football players, have taken a special interest in trying to make her life a living hell. But away from everybody Lea turns into a completely different girl. She weird and loud and crazy but she doesn't want anyone to know because of what happened in her previous school. But what happens when the cheerleaders and the football players, who have been bullying her find out her little secret? Addie Smith has been left broken and bruised by her father so many times she needs someone to save her. Ryder Wilson has been the bad boy at school for as long as he can remember. What happens when Ryder finds Addie broken and bruised in an alley? Will this finally be what Addie needs? Will Ryder have found the one person that will know him and love him? Follow Addie and Ryder on this journey of a lifetime, join them in the struggle that is their life. Will this lead to a happily ever after? River is the total nerd with messy hair, high IQ, baggy clothes and not very social. Brooks is the complete opposite with styled hair, average IQ, and clothes that fit and is the most popular guy in school. This is a cliche love story with the lonely nerd and the popular baseball player. Please Enjoy. 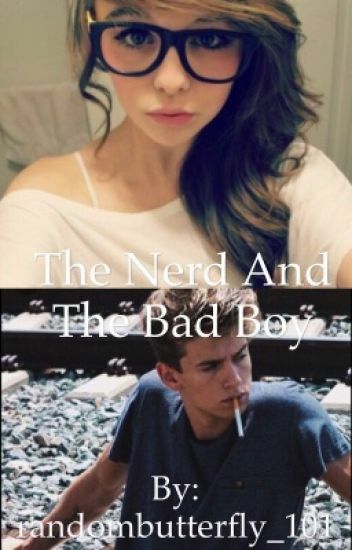 Madison Rodriguez never expected to go to Los Angeles  Hills High School,and meet Carter Garcia who turns out to be the school's bad boy.But what happens when he tells her that she is his. Will Madison end up falling for this possesive jerk or will she end up hating him?
" Come on dude. Just go do it. " Jase said smirking. I looked back over at her. Why did it have to be her. She's like the lamest girl in this school. All my friends started cheering for me to do it.
" Fine. " I said. I walked over to her and leaned against the lockers. She looked over at me with her blank expression then went back to putting books in her lockers.
" What do you want? I'm not doing your homework, if that's what you were gonna ask. " she said not looking at me.
" I don't need you to do my homework. " I stated she turned towards me, and I took that as my chance. I grabbed her wrist and connected my lips to hers. I pulled away smirking. A fierce blush covered her face.
" Thanks. " I said brightly before turning back to my friends. Chance Meyers. One of the bad boys. He wins fights, and almost every girl in the school. He's athletic, funny, cocky, and one of the hottest boys there. Faith Thompson. The biggest nerd in the school. She doesn't wear glasses, but she's a total nerd. Always caring about school. She doesn't really care what she looks like, she cares about what her grades look like. When chance gets a dare to kiss the ultimate nerd, will it go wrong? Evangeline Skye went through a tough life, but she thought that it may have come to an end. Was she right, or will her life be effected by her past?